Perry Town Planning facilitated for a planning permit for Urban Climb (climbing gym and yoga studio) along with associated advertising signage on an extensive 1,200sqm site on Down Street, Collingwood. 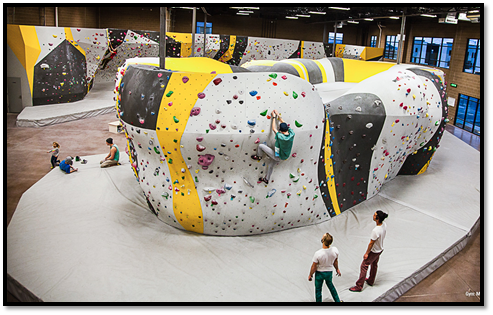 Urban Climb provides for a unique indoor rock climbing facility alongside yoga classes, with the successful operation of several Urban Climb gyms already established in Queensland. Key issues encountered within the planning application for an indoor recreation centre included the provision of sufficient car parking. Car parking requirements were reduced with the generous provision of bicycle parking and the site’s excellent location and access to public transport proximate to the Smith Street activity centre.